Jokes are often used to lighten a tough situation, but this is a little ridiculous. 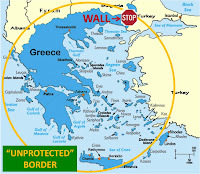 It turns out the Greek government is proposing that a wall be built on the Greek-Turkish border to curb the waves of illegal immigration that are adding to the country's problems. That might be a solution if a large percentage of the country's border was made up of this area. 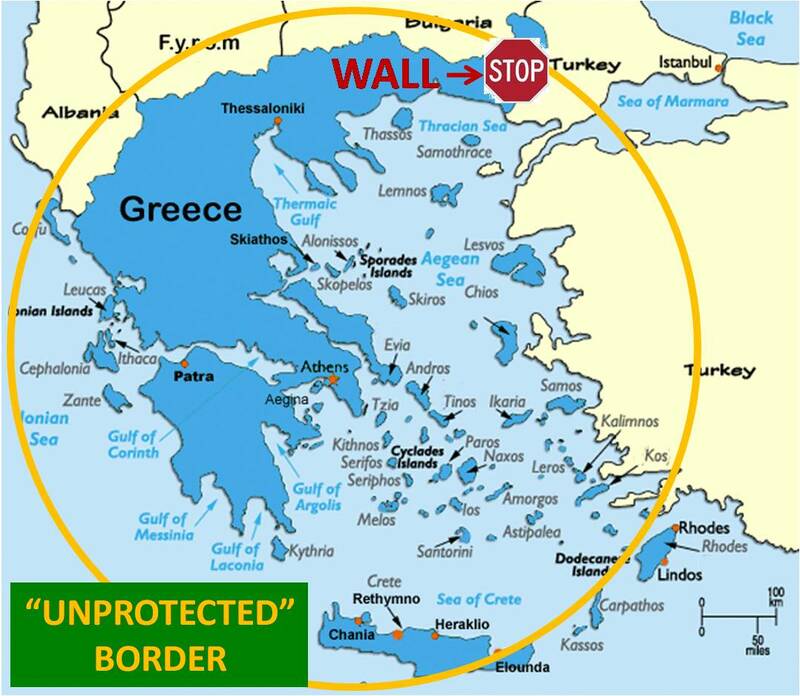 However, one look at a map shows that the most exposed and vulnerable Greek border is made up of the miles and miles of island coastline. 2) Use the money to improve the infrastructure so that a process can deal with the problem, not put a brick band-aid on it. Unfortunately nobody wants that problem resolved. You just can't imagine the huge profit of so many state-employees getting bribed from all those poor souls to obtain all kinds of false ID papers. I know the subject from inside. Therefore you should expect to see only "band-aid" solutions. Mainly intended for the eyes of EU.